No blogging or posting for me lately…and with good reason! The last few months I’ve spent my on-line time working on my first website and a re-designed blog. I’m excited to make my business profile and portfolio “official” and I’m thrilled to be able share a few of the things I’ve been working on the last year or so. I have many wonderful projects underway at the moment and look forward to adding those to my portfolio as well – but for now, it’s time to launch! As a designer I’m knee-deep in details every day, all day – so doing website design was a chance to take a step back and look at my business and projects from a distance. San Francisco web designer Deb Wagner at dstripe.com has been an incredible partner in the process. In short order she “got” my style and communicated it effectively in her visuals. Paige Gilbert of Photos By Paige took great care of the photography and I’m grateful for her patience with my continual re-arranging! Of course, without clients I’d have no projects to show – so an enormous thank you to everyone who allowed me the opportunity to do what I love. 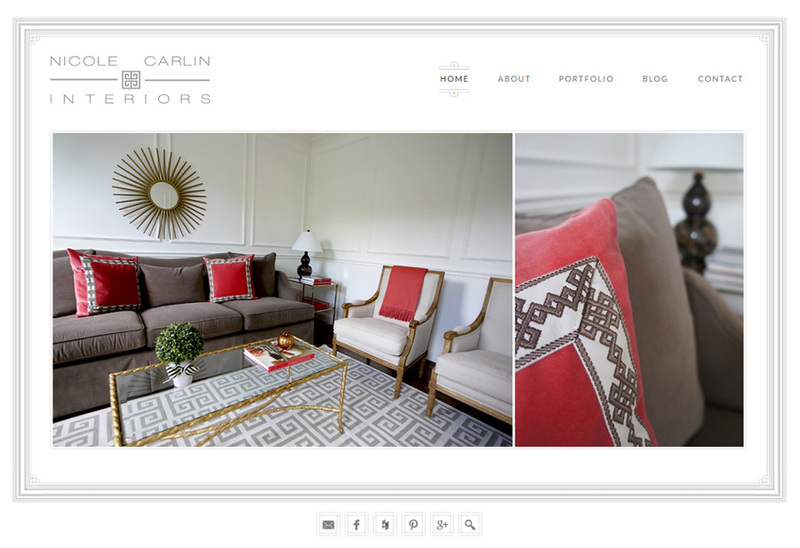 It’s a busy time of year for many with school wrapping up and summer beginning….but if you get a minute pop on to nicolecarlininteriors.com and check it out. I’m thrilled to have my portfolio out for the world to see and look forward to watching it grow.